Sartre was certainly the most famous French writer, as well as one of the best-known living philosophers. 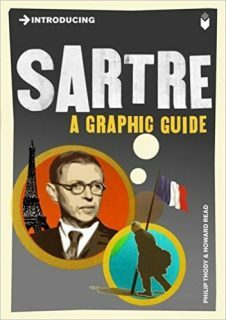 Introducing Sartre explains the basic ideas inspiring his world view, and pays particular attention to his idea of freedom. It also places his thinking on literature in the context of the 20th century debate on its nature and function. It examines his ideas on Marxism, his enthusiasm for the student rebellion of 1968, and his support for movements of national liberation in the Third World. The book also provides a succinct account of his life, and especially of the impact which his unusual childhood had on his attitude towards French Society.